TVB Node 6 is coming up, and will be hosted at Charité – Universitätsmedizin Berlin & Berlin Institute of Health in Mitte, Berlin, on Feb 26th 2018. Along with talks from TVB experts, BrainModes will be demonstrating the real time brain visualisation applications during the breaks for any guests who wish to try it. On the 24th of June, BrainModes set up a live demonstration of the apps alongside presentations by The Virtual Brain and My Virtual Dream. LNDW17 is an annual event in Berlin celebrating the sciences with open doors to many institutions and museums hosting a wide range of experiences. The event was attended by several VIPs including the Mayor or Berlin. The event went all night from 17:00 to past midnight, cycling through an educational talk given by Paul Triebkorn on The Virtual Brain and performances of the art installation of My Virtual Dream. The BrainModes app was available to try all night just outside the presentation room, which was great for when the presentation room was too full for more audience members. It was over all a great night, when many happy people young and old learning about current brain technologies. Presentation by Paul Triebkorn on The Virtual Brain, attended by Dr. Petra Ritter and the Mayor of Berlin. A dream from the art installation, My Virtual Dream, which ran the whole night of LNDW17 back to back with an educational TVB talk by Paul Triebkorn. Anton Komissarov demonstrating the features of the real time brain visualisation application, and focus/relaxation based game by BrainModes. 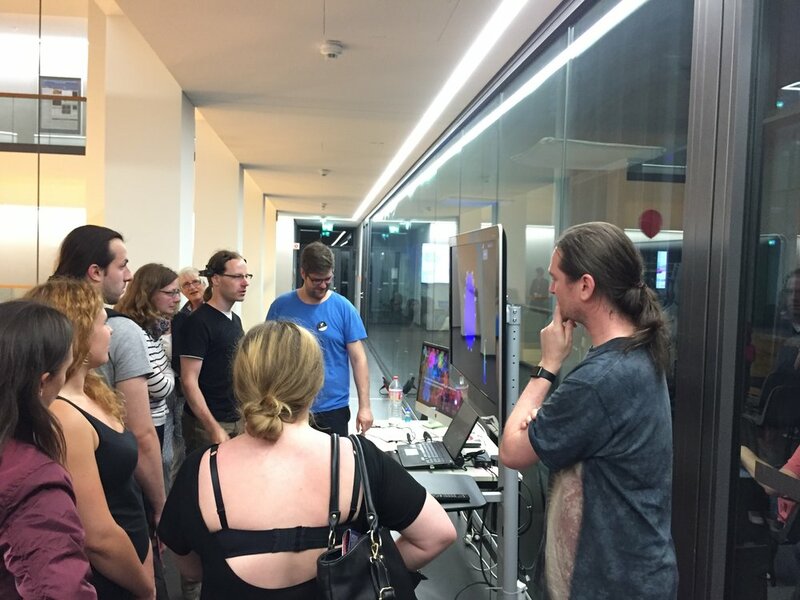 BrainModes proudly featured an interactive display at the opening event of the Einstein Centre for Digital Futures, which was attended by the Mayor of Berlin. 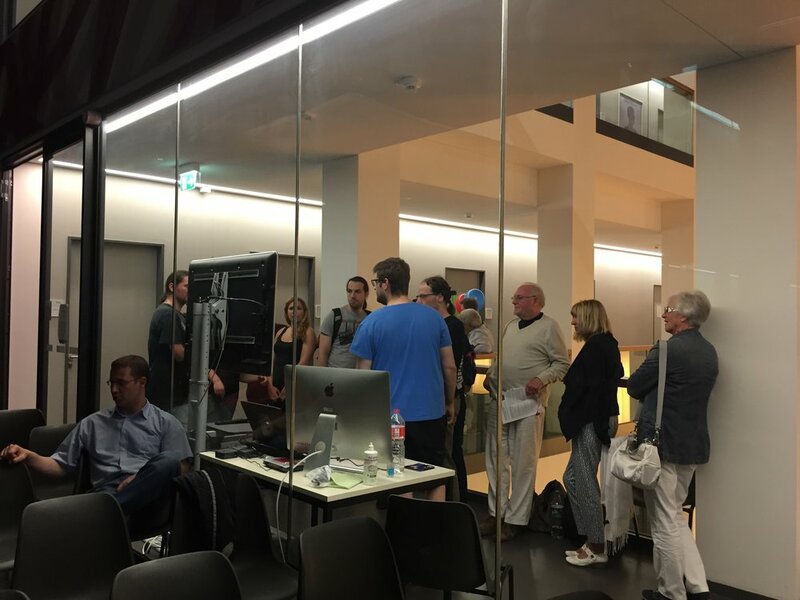 The applications and an Interview with Dr. Petra Ritter were featured in the RBB Abdendschau documentation of the event, seen via the link below. BrainModes real time mobile applications powered by The Virtual Brain on display at the Opening of the new Einstein Centre. Screen Shot from the RBB Abendschau featuring the real time virtual reality brain visualisations of BrainModes, powered by The Virtual Brain. Dr. Petra Ritter and Dr. Omar Mendoza Montoya setting up the interactive demonstration the evening before the event.